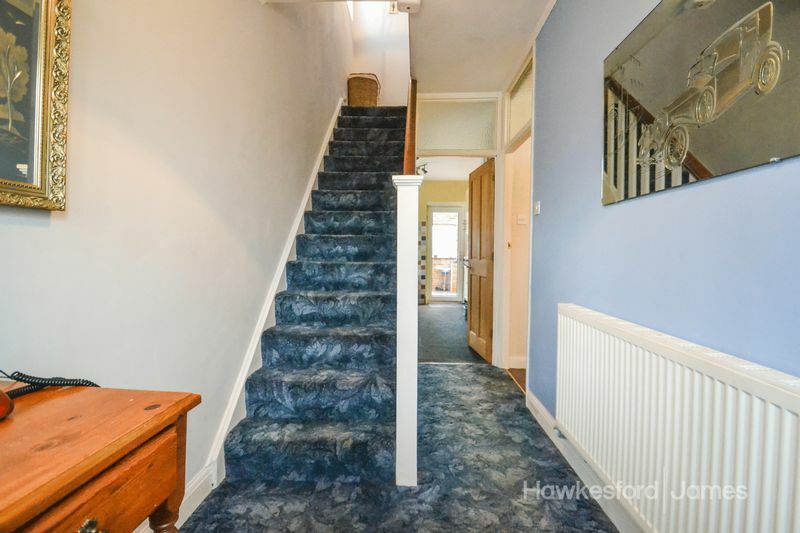 This deceptively spacious three bedroom 1930's home is perfectly positioned on one of the town's most envied streets. 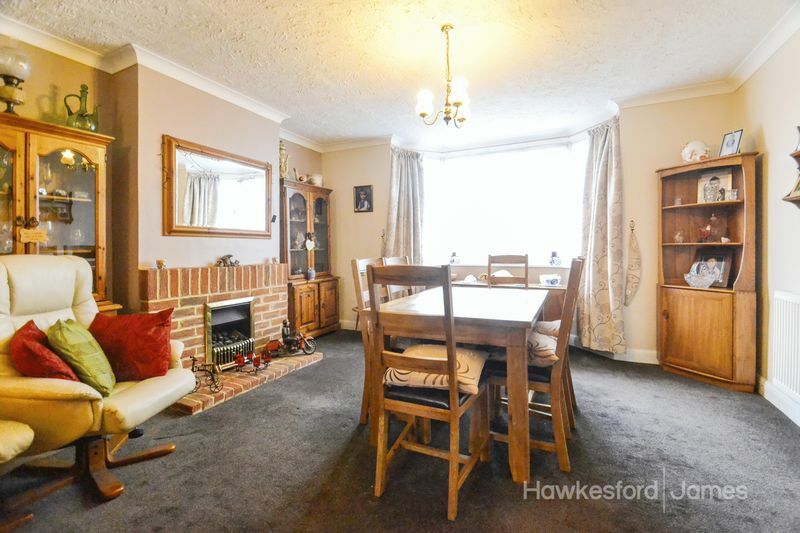 Suited to the growing family, the ideal location offers convenient access to sought after Primary & Secondary Schools, the Town Centre, Railway Station & King George's playing field. 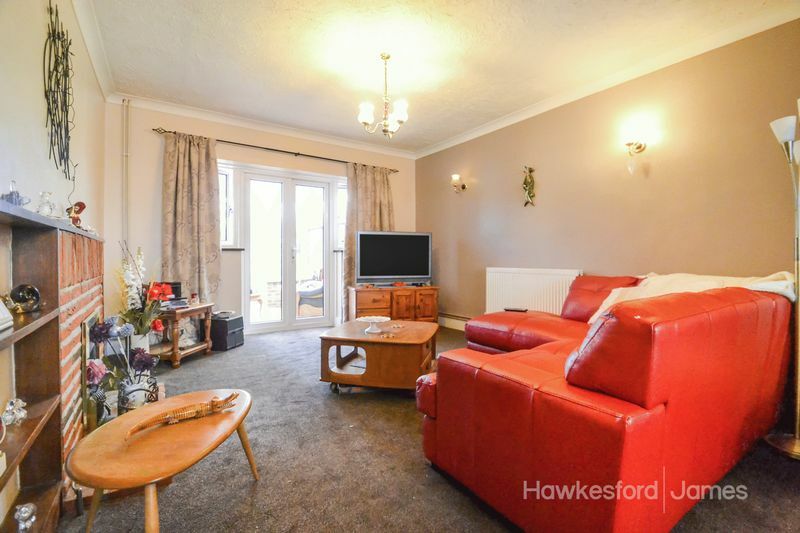 Offering great potential to add your own style, in our opinion, the internal accommodation benefits from a light & spacious feel with sociable layout. 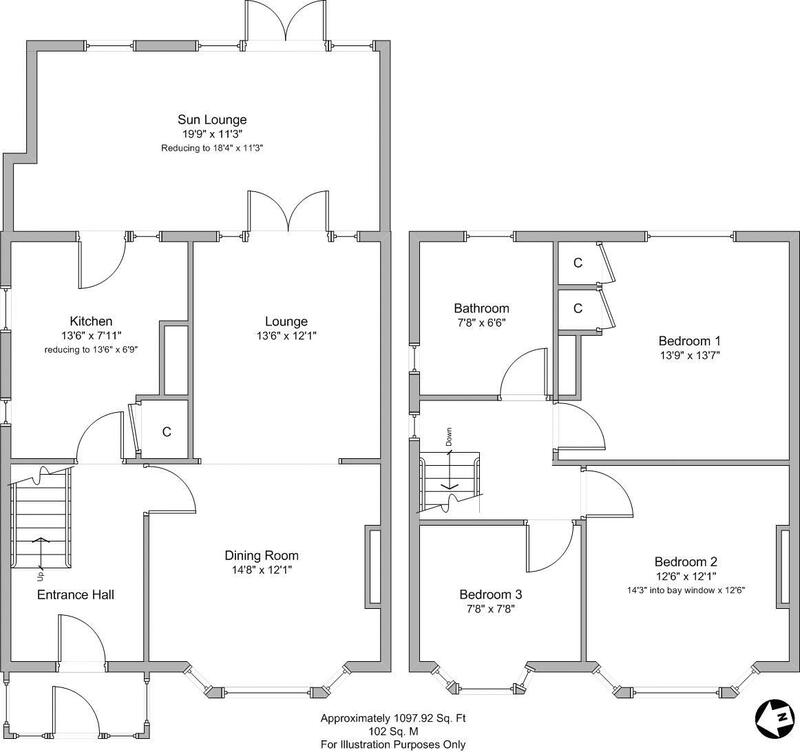 The open plan lounge/diner benefits from a bay window to the front, high ceilings & French doors leading to the sun lounge. For those requiring two separate receptions, the rooms could look great with a set of glazed doors. 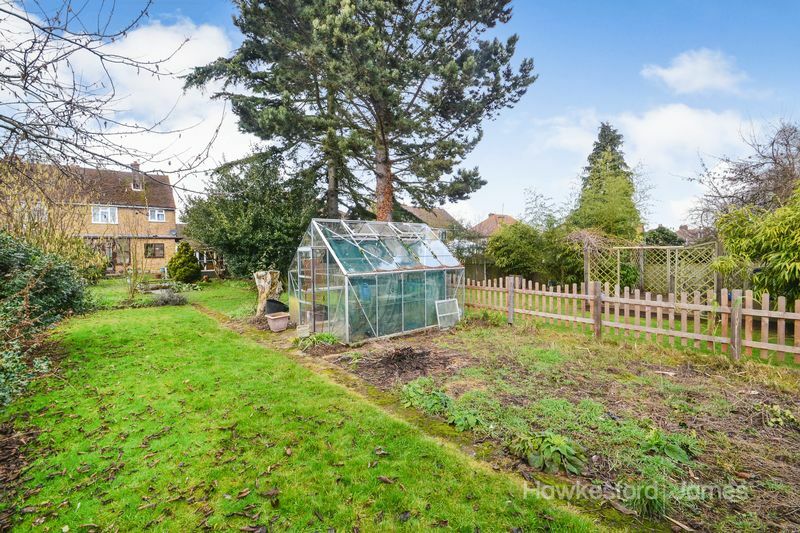 The rear garden is approximately 120ft and benefits from well established plants and shrubs, a wooden summerhouse, greenhouse and paved area. 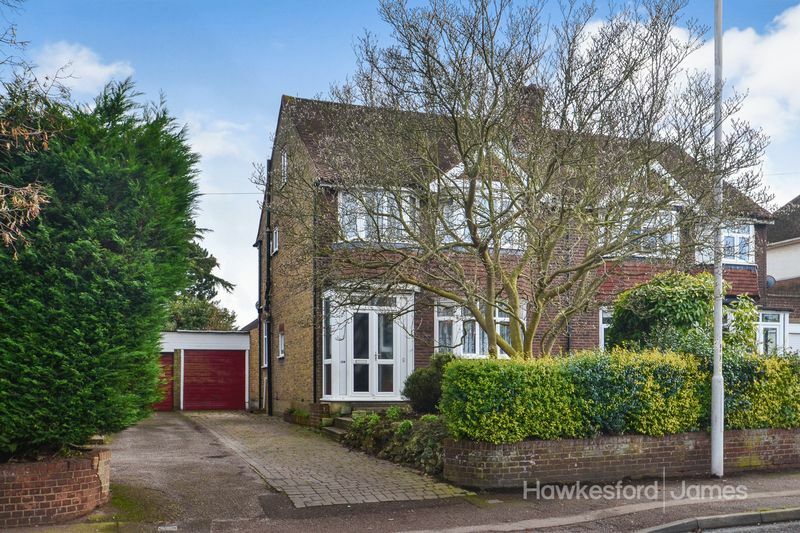 Access to the front of the property is accessed via the garage, adding further security for children in the garden. 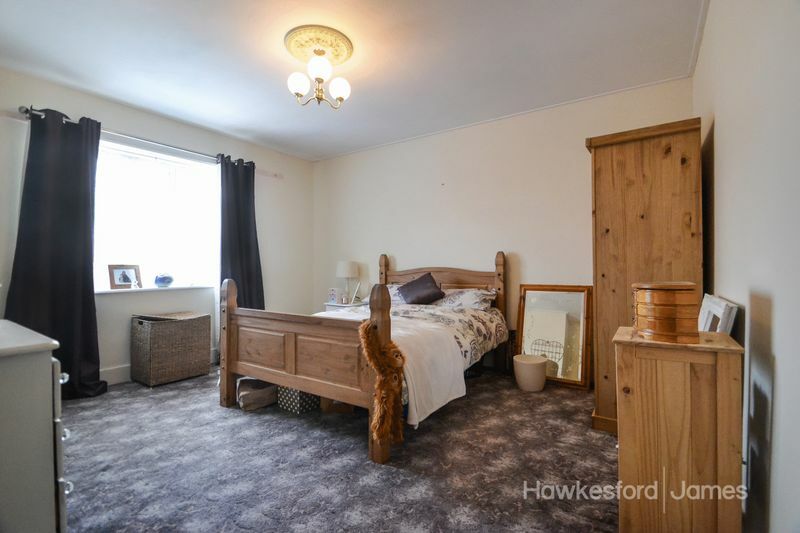 This property is to be sold with the benefit of no forward chain. 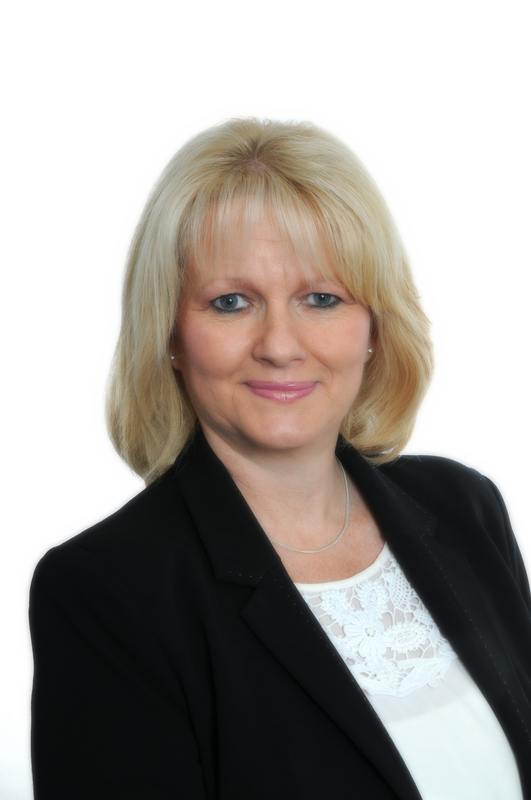 As sole agents, Hawkesford James are offering viewings by appointment only. UPVC double glazed French doors with side panels leading to the sun lounge, a coved and artex ceiling, double radiator and TV point. A coal effect gas fire with brick surround. UPVC double glazed French doors with glazed side panels and window to the rear aspect. 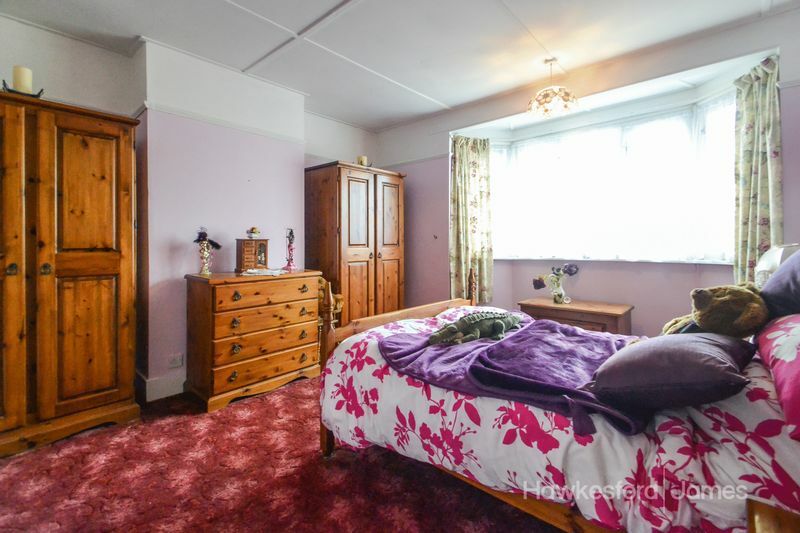 Two double radiators, a tiled floor, power and a glazed door leading to the kitchen. Two UPVC double glazed windows to the side aspect, a double glazed door leading to the sun lounge. Matching base and eye level cupboards, a 1 1/2 bowl stainless steel sink with mixer tap inset into work surface. Further work surface to either side. 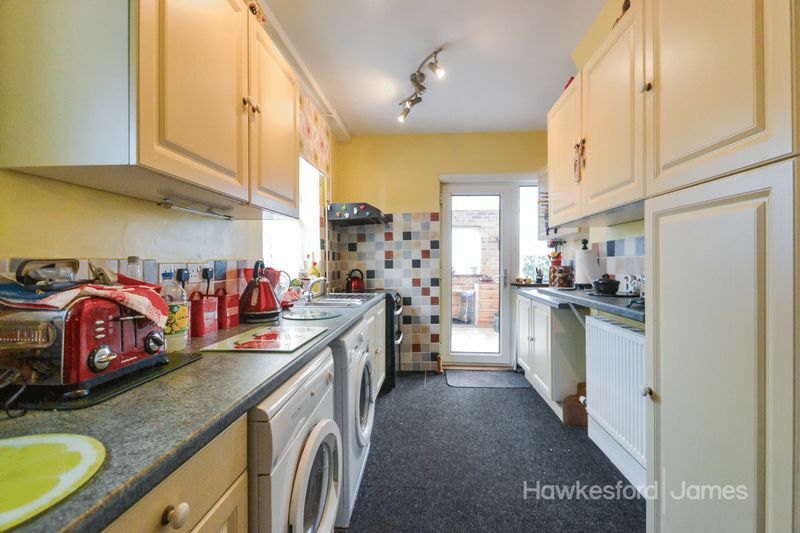 A freestanding washing machine, tumble dryer and cooker with extractor fan over. Partly tiled walls and a pantry cupboard. 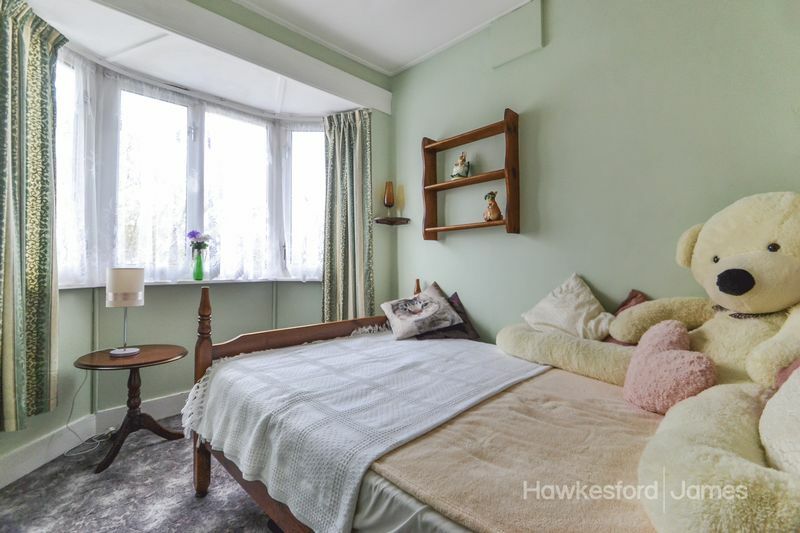 UPVC double glazed window to the rear aspect, a double radiator, built in storage cupboard and a further built in cupboard housing a gas fired Worcester Combination boiler, supplying domestic heating and hot water. The boiler was installed in February 2016. UPVC double glazed bay window to the front aspect, a double radiator and picture rail. 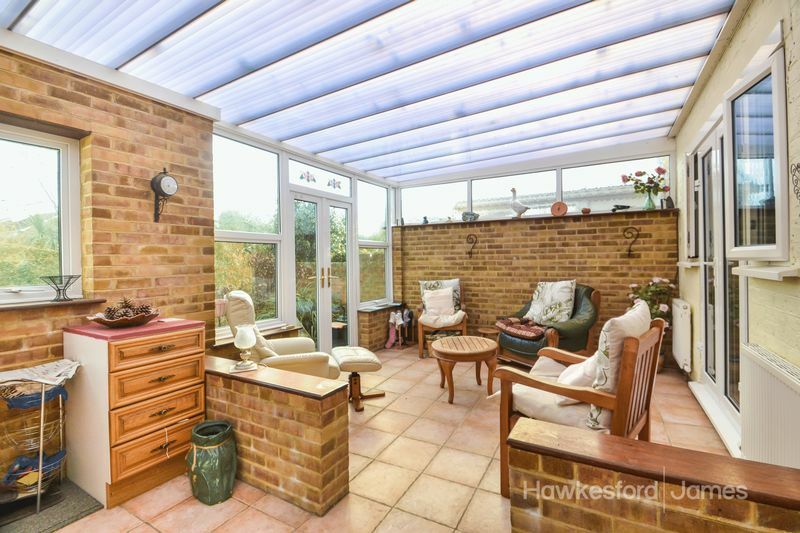 Dual aspect UPVC double glazed windows, an artex ceiling and partly tiled walls. 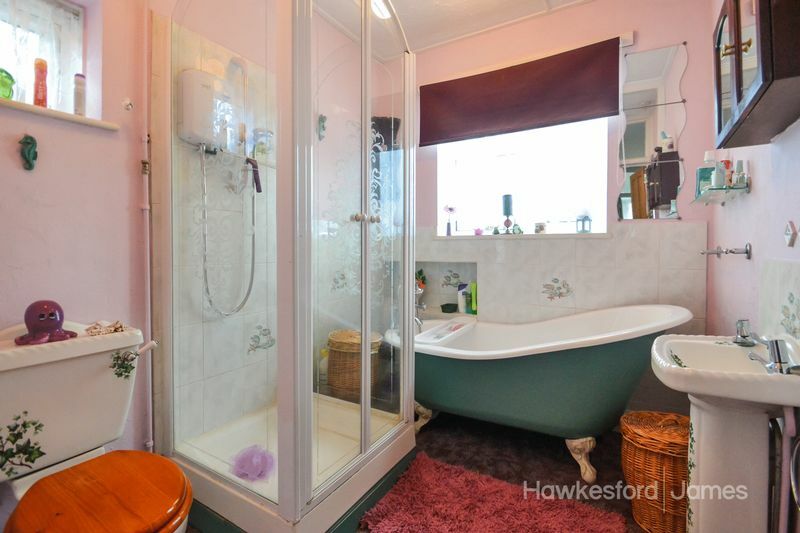 A white bathroom suite comprising a roll top bath with mixer tap and shower attachment, a tiled shower cubicle with electric shower, pedestal wash hand basin and a close coupled WC. A heated towel rail. 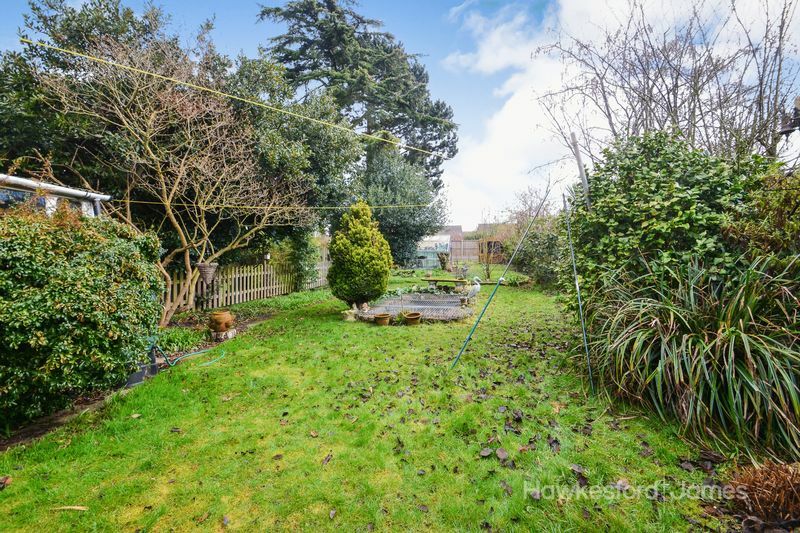 An Easterly aspect rear garden of approximately 120ft. The garden has a variety of well established shrubs, is mainly laid to lawn with a feature pond, a summer house and greenhouse. Access to the front is available via the garage. A single garage with up and over door, power and light.